Bullion refers to precious metals in bulk form. For example, Gold Bars, Silver Bars, Platinum Bars or other precious metals bars, ingots or coins are considered bullion and have value. The value of bullion is typically determined by the value of its precious metals content, which is defined by its purity and mass. We aim to serve and please residents around Casa Grande, Eloy, Florence, Coolidge, Maricopa, and Arizona City with fast cash through one of our bullion loans at our pawn shop. How does a bullion loan on your gold bullion, silver bullion or platinum bullion work? We try to make the bullion loan process as easy as possible with our bullion loans. As with any of the other Pawn Shop or Short-Term Loans that we offer, you bring us your gold bullion, silver bullion or platinum bullion for our trained professionals to examine. Once the purity and weight are determined, we will provide you with an aggressive cash offer. Once accepted you will receive cash within minutes. All bullion loans are 90-day terms in which you would pay back the principal plus interest within that time frame. You could also payback just the interest which would renew your loan for another 90-days. If you can’t pay back the bullion loan in full at maturity, you may surrender the bullion as full payment with no further obligation on your part. Why take out a loan on your gold bullion, silver bullion, or platinum bullion? We have all faced a time in our lives when we needed money right away. Whether for medical, vehicle or home repairs, college tuition or books and a number of things all just seem to hit us at the wrong time. Since the prices of precious metals is more often than not on the increase, this makes it a valuable asset in the event of an immediate need for cash with our bullion loans. Whether you have your bullion in bars, ingots or coin and don't wish to sell it then it might be the perfect solution to take out a short term loan with our bullion loans in Casa Grande. All you have to do is bring your bullion into our pawn shop so we can determine it's value. We would then write up a 90-day loan and you would receive cash from our bullion loans. This way, you can get the money you need, pay it off and your bullion is returned, just as your left it with our bullion loans for fast cash from our store. What type of gold bullion, silver bullion, or platinum bullion will you loan on? 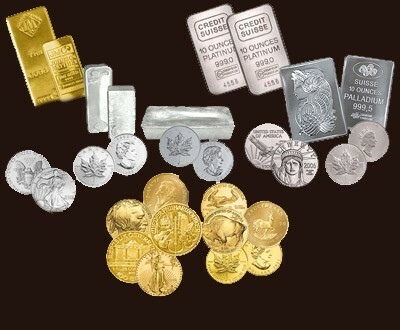 We will loan on any type of gold, silver, or platinum bullion without regard for condition with our bullion loans. This includes coins, bars, or ingots. Gold, silver, and platinum will always have value and can be exchange for fast cash with our bullion loans in Casa Grande, Arizona City, Maricopa and Eloy. Why should stop into our pawn shop in Casa Grande? Casino Pawn And Gold in Casa Grande, and its affiliated companies has been in business for over 20 years buying and providing short term pawn loans on all types of bullion with our bullion loans. We have the knowledge, experience, and cash to make you want to come back and see us whenever you might have a need. You will also find that the staff understands and respects your needs as well as your concerns. During the term of your loan your bullion will be secured in our vault in Casa Grande. The terms of your loan are handled discreetly so you can be assured that your privacy and the security of your bullion will always be maintained when pulling a loan out with our bullion loans. Discreet and secure, professional and courteous and the most aggressive cash payout makes us the 1st choice for Gold Bullion, Silver Bullion or Platinum Bullion Loans in Casa Grande. Don't forget we also serve the Coolidge, Maricopa, Arizona City, and Florence Area. Offering the Best in Pawn Gold Prices! Pawn Gold Prices You Can Count on! Used Jewelry is Our Specialty at Casino Pawn and Gold! Casino Pawn and Gold will give you the most cash for your used jewelry, and will also sell you best used jewelry this side of Casa Grande. Strapped for cash? Have a car? Casino Pawn and Gold Offers Auto Title Loans! Get an auto title loan today in Casa Grande at Casino Pawn and Gold! ATTENTION ALL CASA GRANDE RESIDENTS!